Now, who says you can’t mix business and pleasure? 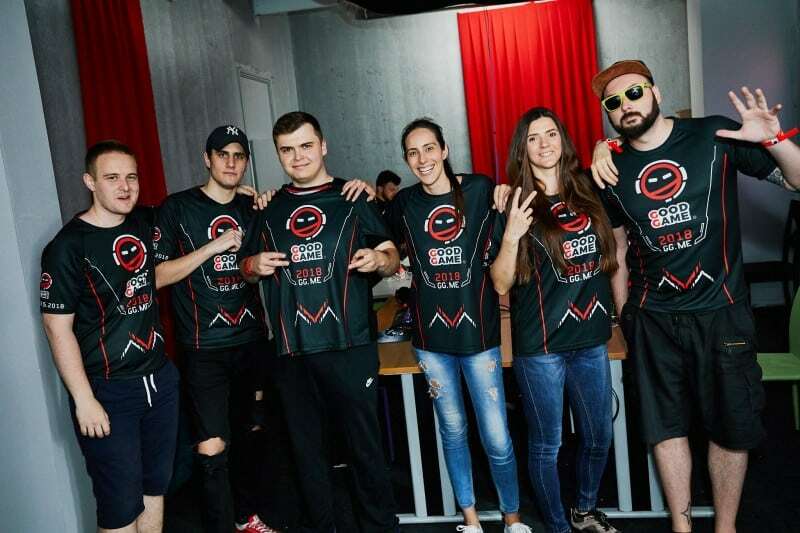 Last week, we had the opportunity to interview Nikola Stolnik, founder and CEO of Good Game Global (gg.me) that offers an innovative way of supporting entrepreneurs and startups – through gaming tournaments. In the early days, Nikola thought about the new concept of networking called fetworking – that is, fun networking. As he brainstormed the idea, he saw new, unexpected benefits emerging for all the people that would take part in the gaming tournament that serves as a fundraising event. Companies would have a different and more entertaining way of team building, while they would simultaneously contribute to a greater cause, since charities or causes get directly funded from the participation fees. Event volunteers would have an opportunity to boost their job hunting efforts and put themselves on the radar of great IT companies. Entrepreneurs and startups would be granted a chance to start their businesses from scratch, if their idea is proven to be valid. Sounds exciting, doesn’t it? To find out the details of the Good Gaming Global’s story, read the full interview below. The concept of organizing a game tournament and raising money from the participation fees in order to support entrepreneurs and startups is pretty clever! When was Good Game Global founded and how did you come up with the idea of connecting the gaming world with fundraising? Thank you for your kind words. Good Game was founded as an idea back in 2015 when I moved back from Ireland to Croatia. During my time abroad, we had a habit of playing video games competitively after work. It sprouted a mini league of tech company employees who would then battle against each other under their company banners. It was very informal, but I really liked the idea and built on top of it. The idea came into fruition in form of an event back in early 2016. Back then we had 16 tech companies competing in the first Good Game Zagreb tournament. Back then I’ve had the idea of giving back, and the first two years we’ve given money to both hospitals and children’s educational programs. The thought sprouted that we can actually multiply the value of our grant by boosting the local economy, thus creating added value, new jobs and potentially new Good Game partners. Can you tell us more about what the tournament looks like? How do people generally react, do you have many teams that apply to participate? If you would’ve asked me 3 years ago if companies would pay money to have their employees compete in video games I would have probably thought that you are being overly optimistic. This year we’ve counted 32 competitor teams and 66 partner companies in total. Just for one event. The numbers alone blew my mind. In just two years we’ve grown from a humble 300 participants event to over 1500. To weigh the satisfaction of our clients, meaning sponsors, competitors and participants, we’ve sent an anonymous survey after each event. Apart from getting amazing feedback which helps add value to each new project we create, the general satisfaction rating is amazing. We’ve had a constant 100% YES on Will you attend the next GG event?’. How many game tournaments have you organized so far and how often are they organized? We’ve organized 5 events so far. 3 in Zagreb, 1 for a client and 1 abroad, in Prague. The idea is to have a yearly GG tournament in every bigger city or tech capital and to bring them all together once a year for the grand championship in Zagreb. There’s a long road ahead, but we’re giving it our all to make it happen. What were some of the first challenges in the first days of Good Game Global and how did you manage to overcome them? The main challenge was educating our clients on the benefits of esports as a business development platform. Our values being networking, team building and employer branding. We were in luck that the correct business environment emerged locally. A critical mass of forward thinking companies and their employees who’ve propelled our idea further and made it possible for the whole concept to come into reality. You have some of the most reputable brands among your partners, such as Uber, Nordeus, Coca Cola, Red Bull… How did you explain the vision of Good Game Global and succeed at showing them you’re worth of their support? I like to think that our partners are forward thinkers. A good part of our partner base has been with us for the third year in a row now, with new ones coming onboard over time. We’re thankful that our partners are part GG ambassadors which helps immensely when educating classical companies on esports as part of their business. Tell us more about the GG Liftoff. What is the process of selecting entrepreneurs and startups that get the financial support? Good Game Liftoff is the newest add-on to our growing platform. It’s sort of a shark tank-ish environment where a board of successful business people will rate startups, and the winner will take home the grant of 100.000kn (approx $15.000). We are looking for young entrepreneurs with great ideas and drive, but with limited access to financing. Applications are open until 31st of August, where 10 best projects will be called into a live pitching session on the 13th of September. Do you have some success stories of the startups and entrepreneurs that got funded thanks to your tournaments? Good Game Liftoff is the first investment event of its type so there have been no investment stories so far, but we have dozens of people and companies interconnecting at our events. Results being new projects, added value and previously non-existent cooperation taking place between our partners. Good Game Global is the National Finalist at Central European Startup Awards 2018. What does this award mean to you? It came as a surprise that we were chosen as finalists, as we’re aware that many other great projects stem from Croatia. We don’t expect anything from the finals, as this in itself is a huge honor. This award is a recognition and a sign that we’re headed in the right direction, and is bringing much needed visibility to our project. What is your forecast for the future? How do you see the gaming ecosystem developing in your region and wider? Game development-wise, there is already the trend of accruing development and publishing companies under bigger corporations. As a result I wouldn’t be surprised to see a few acquisitions in the region. Indie studios will have a harder time keeping up with competition but if we look at our current market gamedev portfolio, there’s a lot to be thankful for and proud of. Esports in itself isn’t doing that great. We’re lacking structural integrity in order to attract larger sponsors. And for that to happen, we need at least one generation of professional esports athletes with proven results. That’s one of the reasons why at Good Game Global we’re steering away from classic esports and building our own B2B ecosystem. How important do you think it is for brand to build their online presence today? Why did you choose .ME for your online home? We have a lot of aspiring entrepreneurs who read our blog, so feel free to share some insider info about the path of building recognition in your industry. Online presence is a must and the quickest way to recognition in the new world we live in. I would hope that every young entrepreneur is versed in the art of online promotion to get as much value for their project as possible in the shortest amount of time. For our online presence we’ve chosen the .ME domain because it stands out. There is a magnitude of .com or similar web addresses with similar services and we it’s our job to stand out. What better way than a unique domain (which sounds good, and triggers a feeling of ownership with the english meaning of ‘me’) and a 2 letter page name. I’d like to invite everyone eligible for our grant to apply in order to try and get their startup picked up, with practically zero risk. We’d like to see new regional success stories, more employment and value for everyone. We thank Good Game Global for taking the time to answer our questions and we wish them all the best on their road to supporting aspiring entrepreneurs and startups through fun gaming tournaments! If you have your own business idea and you want to make great social impact just like Good Game Global, start right from the very beginning. Create your own website and make it personal with .ME domain name! Check if your domain name is available and commit to making a difference in the world. How to Start a Photography Business From ScratchIt’s Been 3 Months Since the GDPR Came Into Effect: Is Your Website Ready?